Copper guidance has been revised to 705,000 to 725,000 tonnes for the year, with 15,000 tonnes cut off the top end as the company heads into the final quarter. Chilean copper miner Antofagasta (LSE:ANTO) has released its third-quarter production results, revealing that while copper production was up over the previous quarter, it still needs to trim a little off the top of its yearly guidance. Copper guidance has been revised to 705,000 to 725,000 tonnes for the year, with 15,000 tonnes taken off the total as Antofagasta heads into the final quarter. Staying true to the company’s optimism that the second half of 2018 would be better than the first, production from Antofagasta’s four operating mines was 188,300 tonnes for the quarter, up 15.4 percent on Q2’s 163,200 tonnes. Q2 output was hampered by a blockage at the Los Pelambres mine in Chile. With the blockage resolved, Los Pelambres produced 98,600 tonnes of copper, a full 20,600 tonnes higher than Q2 — and even without the copper from Q2 that was instead processed this quarter, the company said that production was up 2.5 percent. “In the first nine months of 2018, copper production (at Los Pelambres) was 257,800 tonnes, 2.7 percent higher than in the same period last year. This increase was primarily due to higher throughput as a result of improved mill operating efficiency,” says the report. Iván Arriagada, CEO of Antofagasta, said that higher production was expected, and that Q4 is likely to be even better than Q3 despite global conditions. 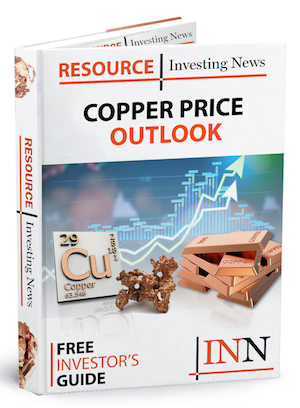 “The physical copper market continues to look tight and the outlook for next year remains positive despite ongoing fears about disruptions to global trade,” he said. 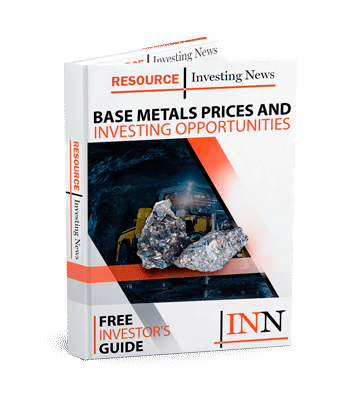 “We have narrowed our copper production guidance for the full year … looking ahead we expect production in 2019 to increase to 750-790,000 tonnes, driven by higher average grades at Centinela concentrates and Zaldívar,” continued Arriagada. For Q3, Centinela’s production was up 2.7 percent to 57,900 tonnes, while for the first nine months of 2018 it was down year-on-year by 8.9 percent due to lower grades. Zalvidar was also up on the quarter but down year-to-date, producing 12,700 tonnes in Q3 (up 21 percent on Q2) for a nine-month total of 34,000 tonnes (down 12.4 percent compared to 2017). It was the same story for Antucoya, which produced 4.4 percent more copper in Q3 at 19,100 tonnes, making for a year-to-date total of 52,100 tonnes, 12.3 percent lower than the same time last year. For costs, Arriagada said that the company’s “disciplined approach to costs” allowed it to combat inflationary measures through the year. It was able to drop net cash costs by 15 percent to US$1.27 per pound for the quarter, though full-year cost guidance remains at US$1.35 per pound. In other commodities produced by Antofagasta’s mines, gold followed the same trend as copper, up 21.2 percent to 48,100 ounces — up on Q2, down on 2017. Molybdenum on the other hand was a high achiever, with a 57.1-percent increase in production on Q2 to 4,400 tonnes for a year-to-date production of 10,300 tonnes. That’s 43.1 percent higher than 2017, “principally due to higher grades and recoveries at Los Pelambres. Additionally, Centinela started producing molybdenum during this quarter,” said Antofagasta. Molybdenum’s performance also contributed to the lowering of net cash costs. On the LSE, Antofagasta was down a modest 1.56 percent to GBX 744.99 on Wednesday (October 24). The company has been having a tough time, with Wednesday’s value almost 30 percent lower than where it started this year at around GBX 1,000.